The Dorchester 4 seater pillow back sofa in Civic Smoke with Silver Scatters is ideal for extended families or those that love a spacious place to relax. Refined and understated, it brings a touch of class to any living room and includes complementary scatter cushions for extra cosiness. Featuring scroll arms and solid oak feet, it will instantly bring a welcoming atmosphere to your home. 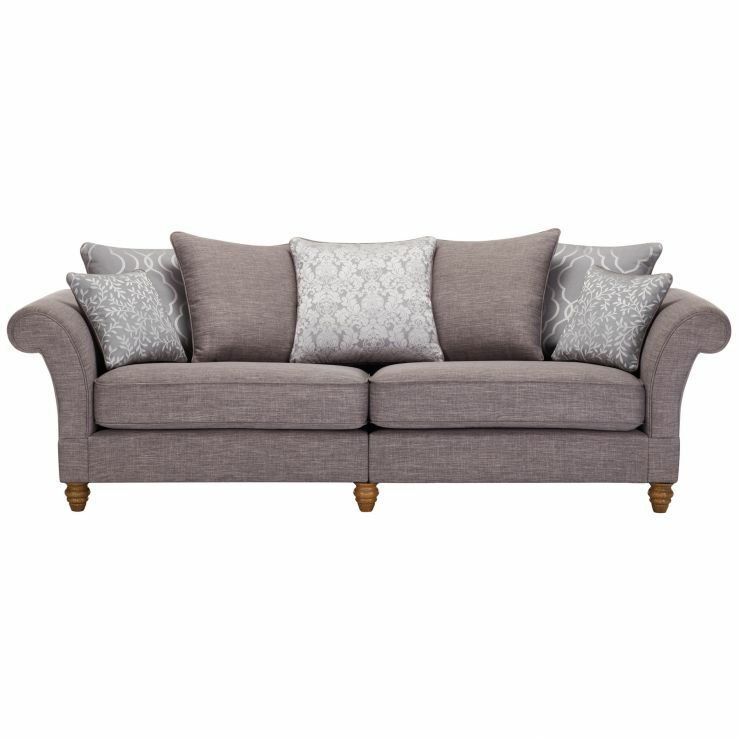 Built using solid hardwood in the frame, you can be sure to enjoy the Dorchester pillow back 4 seater sofa for years to come. The charming silhouette suits contemporary and traditional design schemes alike, so you can rely on its cosiness over the long term! Browse the entire Dorchester range online today.